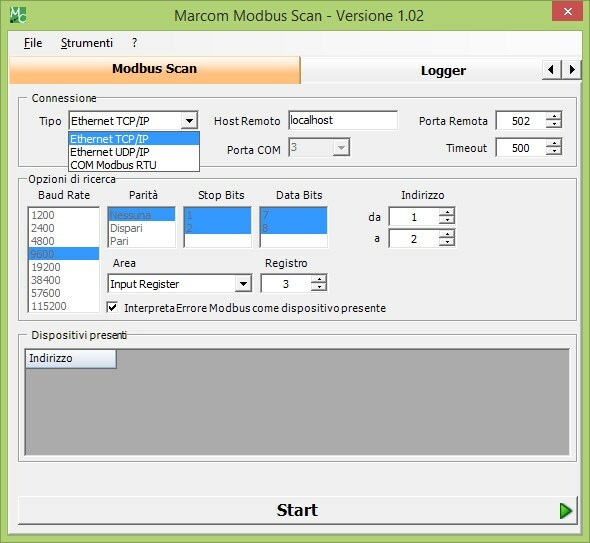 Marcom Modbus Scan is an useful tool to scan Modbus RTU (RS485 / RS422) or TCP networks in order to find slaves connected. 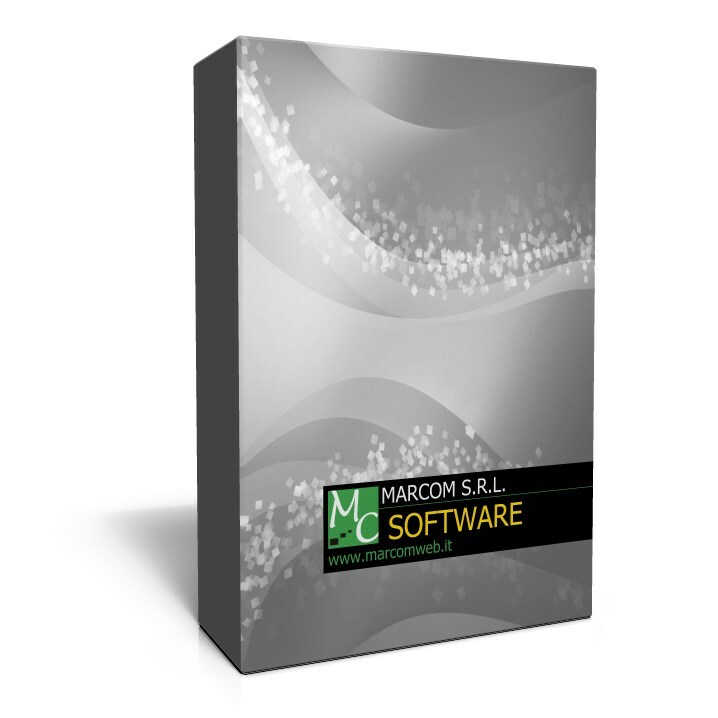 Software is very easy to use: just choose serial or ethernet parameters and start scan. Software tests slave polling for address 1 in Holding registers area. If device answer with register value or with error, this will be included in the list of available devices. It is possible to choose different baudrates for serial port, TCP port and IP address for Modbus TCP protocol, and modbus addresses range to be tested. To download the software, you have to register. Estremamente utile, permette di evitare svariate ore perse per risalire agli indirizzi di impianti magari realizzati da altri nonchè un veloce check per vedere se alla prima chiamata le apparecchiature rispondono.